2016 will be a big year for several nameplates. Some models will be attempting for a final gasp at relevancy before the brand decides to pull the plug. Meanwhile, some vehicles are hoping to revolutionize their particular segment, or they're trying to reinvent themselves as something new and fresh. As Wardlaw explains, Acura hasn't had a true sports car since the cancelation of the first-generation NSX several years ago. With the "upscale brand" struggling to convince customers that they should dish out some extra money for their vehicles, the writer believes the company needs to officially put themselves on the map. It looks like this will be a distinct possibility with the upcoming Acura NSX. The 2016 model may not just be the most impressive vehicle in the nameplate's history, but in the history of the entire brand. With a sleek body featuring aluminum, carbon-fiber and high-strength steel, the NSX justifies the $155,000 price tag with looks alone. However, the vehicle can deliver some very impressive speed and power specs that will blow the competition out of the water. The twin-turbocharged and intercooled DOHC 24-valve V6 engine (with included aluminum block and heads, as well as port and direct fuel injection) can pump out an impressive 500 horsepower and 406 pounds-feet of torque. 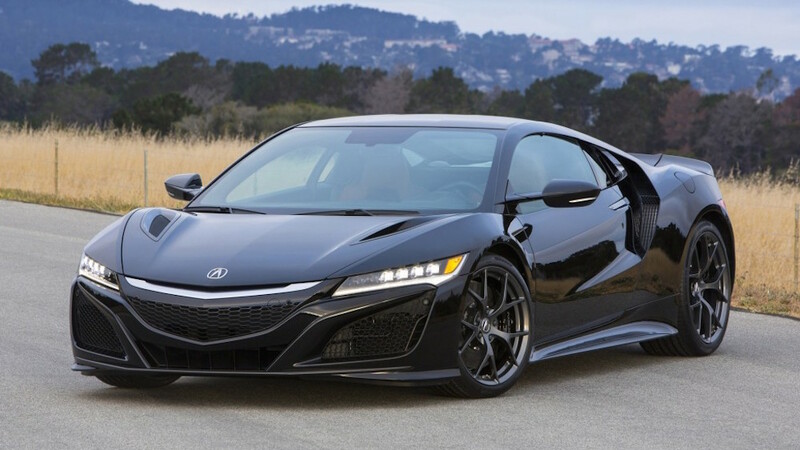 When accompanied by the nine-speed dual-clutch automatic transmission (with manual shifting mode), the NSX can hit 60 miles per hour in 2.9 seconds and 100 miles per hour in 7.6 seconds. Overall, the vehicle can hit a top speed of 191 miles per hour. To put it over the top, the vehicle delivers a 19 city/26 highway mile per gallon fuel efficiency. Considering all the NSX has to offer, we anticipate that Acura will, in fact, establish themselves as a go-to brand for sports cars. 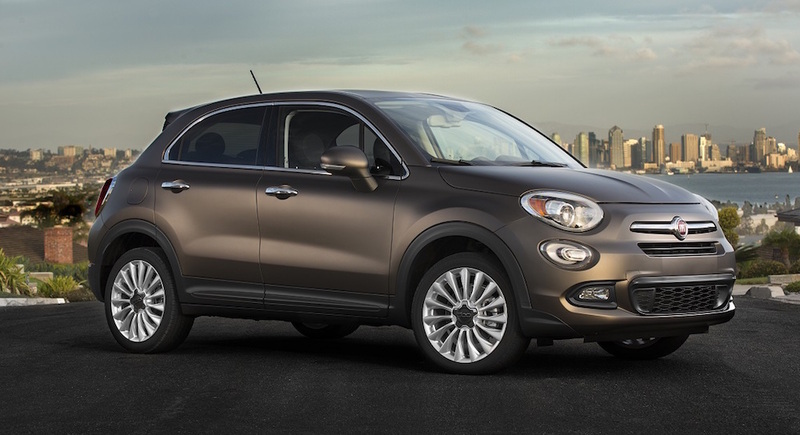 The Italian automaker has officially inserted itself into the compact SUV segment with the introduction of their 500X. Essentially inspired by the Jeep Renegade (particularly the off-roading capabilities), Fiat has added their own bit of Italian style to their newest vehicle. Based on the early reviews, the sport utility vehicle could significantly boost the brand's sales (Wardlaw suggests US sales could actually double). We've all come to expect some combination of luxury, innovative technology, and reliable safety features from Fiat's vehicles. Therefore, it shouldn't be much of a surprise that the body features a "muscular design," or the interior includes luxurious "cuoio anticato (tobacco) premium leather-trimmed seats." However, you'll probably be further impressed with the overall driving experience. Featuring all-wheel drive capabilities and electric power steering, you can expect excellent traction and "responsive performance" from your 500X. Furthermore, you can unleash some unexpected power and speed via the 2.4-liter Tigershark MultiAir 2 engine, which can pump out 180 horsepower and 175 pounds-feet of torque. Furthermore, the nine-speed automatic transmission allows for smooth transfers and improved acceleration. 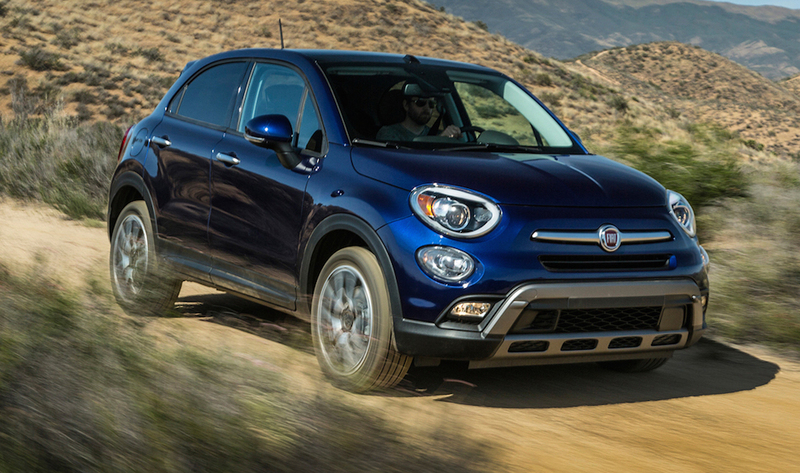 The Fiat 500X may separate itself from the pack due to the flexibility buyers will have in designing their SUV. With the option of five different models, a pair of engines and transmissions, and a variety of colors, a potential customer can truly make the vehicle their very own. Nowadays, Cadillac is more renowned for their production of SUVs, but the brand is going back to its roots with the production of the new CT6. In fact, the new luxury sedan is expected to be such a hit that Wardlaw declared that it will serve "as the automaker's first credible flagship car in decades." 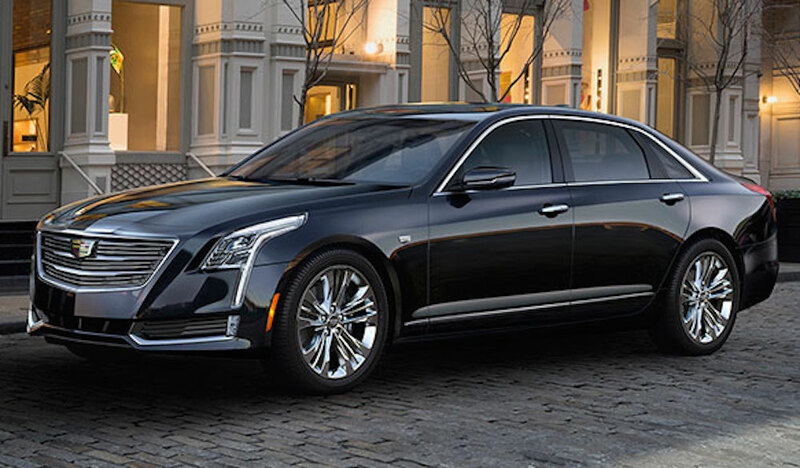 The new CT6 include a lightweight architecture that will improve the overall driving experience. Of course, the vehicle has also been sculpted into (what some would consider) a work of art. The car has been "refined from every angle," from the "dramatic silhouette" to the "long, low stance." Furthermore, the concierge lighting will provide will you some security when you're entering your vehicle late at night, and the LED lights will assist in illuminating the road ahead of you. The interior features a number of technologically-advanced amenities, making for an entertaining and enjoyable driving experience. The 10.2-inch front touchscreen allows you to access radio, a navigation system... even weather reports! Meanwhile, your rear passengers can also enjoy the advanced entertainment capabilities, as the rear seat 10-inch infotainment screen allows them to watch Blu-Rays or play their favorite video game system. Speaking of technology, the vehicle also includes a number of safety features that will not only improve your drive, but also make it significantly safer. The Rear Camera Mirror allows the passenger to stream HD video via their rearview mirror, allowing them to monitor whatever is happening behind their vehicle. Meanwhile, the Pedestrian Collision Mitigation uses sensors to scan for non-drivers, and your car will alert you of their presence. Finally, the night vision capabilities use thermal technology to help you recognize any people or animals down the road. The Tesla Model S has proven to be the most popular electric car on the market, as it has outsold all of its competition. Therefore, it wasn't much of a surprise when the brand announced that they'd be producing an electric SUV. 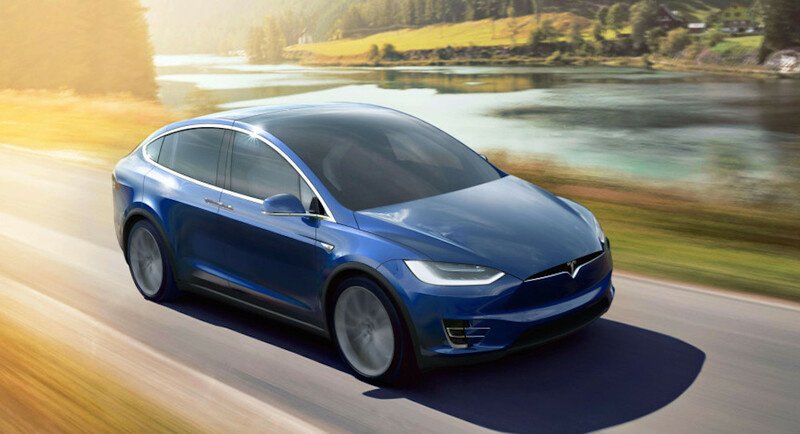 Will customers be as open to the idea of a Tesla sports utility vehicle? Only time will tell, but the engineers certainly did their part in producing an impressive vehicle. The company has been lauding their SUV as one of the safest in the class, even though the vehicle has yet to go through any of the National Highway Traffic Safety Administration's crash tests. Still, there's no doubt that the vehicle was intentionally designed to protect the occupants. The center of gravity has been maximized, which should help prevent rollovers. Furthermore, the front track will help absorb potential impact via the crumple zone, and the active front sensors will help detect an imminent crash. If you need further convincing, the engineers even included a medical-grade HEPA filter to remove any bacteria or viruses that may be floating in the cabin's air. While we don't know a whole lot about the electric SUV's engine, we do know that the vehicle is capable of delivering some impressive specs. When the car is coupled with the performance all-wheel drive capabilities, you can expect a 250-mile range, a 3.8-second zero-to-60 mph time, and a 155 mph top speed. The release of the vehicles above are accompanied by some pressure, albeit for different reasons. However, they all share one common theme: they'll be banking on 2016 being a make or break year.